Join the Cedar Valley Chicks for Change on December 5 for their annual Dine & Unwind party in support of the Iowa Women’s Foundation. 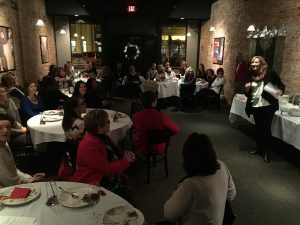 Every year, we look forward to Dine & Unwind, the must-attend event for women in the Cedar Falls/Waterloo area looking to do some good in their community. 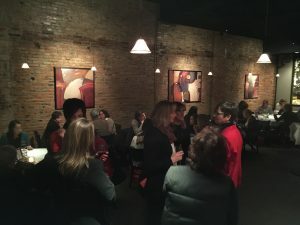 Held by our friends Chicks for Change at Montage (downtown Cedar Falls), this is your opportunity to chat with other women devoted to philanthropy, volunteering, and causes that matter to women and girls across our state. And of course—sample some of the best food and drinks in town! Please RSVP by December 2 by calling and leaving a message at (319) 277-4130. 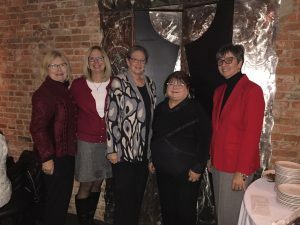 Cedar Valley CHICKS FOR CHANGE is an informal, local network of donors and active volunteers who believe in a vision of full equality for women and girls in Iowa, and therefore, support the statewide Iowa Women’s Foundation to achieve that vision. While hundreds of people in the Cedar Valley donate to the Iowa Women’s Foundation, the Chicks for Change serve as the leaders and organizers for local events and activities including the well-known annual run/walk race: Run Like a Mother. 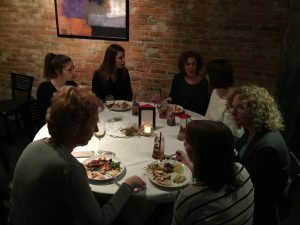 The Chicks meet three times a year to plan and implement these events. New members are always welcome. If interested in being part of this group, call or e-mail Stephanie Clohesy: 319.277.4130 or at stephanie@clohesyconsulting.com. The Iowa Women’s Foundation is a statewide public foundation committed to improving the lives of Iowa’s women and girls through a diversified mix of action and funding, including research, grantmaking, advocacy, education, and collaboration. Although we can point to so many examples of successful Iowa women (see our OVATION awardees, for example), we also know that too many Iowa women—young and old—are poor and stressed to survive and support their families. IWF is part of the lifeline and catalyst for change. What makes IWF uniquely effective is our focus: we use research to uncover the biggest barriers to women’s success as well as their greatest needs, and we invest our passion and resources accordingly. To achieve our goals and make the most significant impact, IWF brings together and invests in organizations across Iowa that make women and girls more successful. Over the past 20 years, grants have been awarded to more than 100 organizations statewide to improve the lives of Iowa’s women and girls. IWF is the only state-wide organization working to enhance and improve women’s economic self-sufficiency. In the coming year IWF will add unique strategies to improve/expand childcare as part of the effort to remove the barriers to women’s economic self-sufficiency.